Convenient parking is available for the Heritage Society historic museum. View the map shown for more information on all parking options, including rates, hours of operations, and entrances. 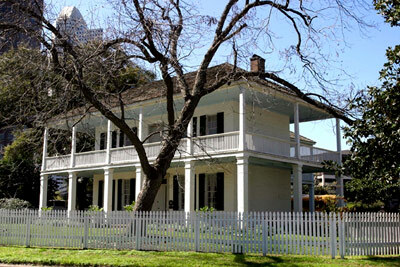 The Heritage Society is an outdoor, interactive museum located in Sam Houston Park. The museum offers collections, exhibits, and educational programs that celebrate Houston's diverse history. The museum currently operates ten historic structures within the ten-acre park, that date from 1823 to 1905. Docent guided tours are available Tuesday - Saturday at 10 AM, 11:30 AM, 1 PM, and 2:30 PM.